An exotic bird related to the emu killed its owner in Florida on Friday, according to authorities. Marvin Hajos, 75, owned a farm in Alachua where he kept a cassowary, Alachua County Sheriff's Office spokesman Lt. Brett Rhodenizer told The Gainesville Sun. 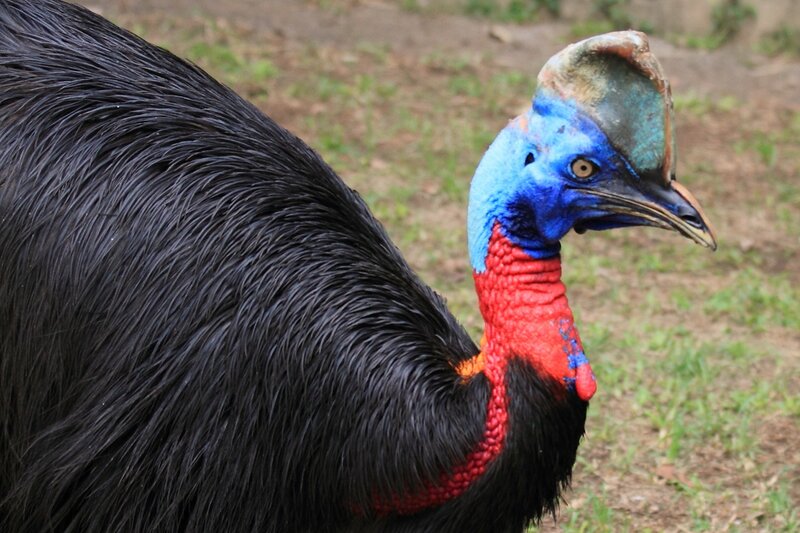 The cassowary remained secured on the property, according to Rhodenizer. Police have launched an investigation into the death, he said. Hajos was breeding cassowaries at the property, Karen Parker, the Florida Fish and Wildlife Conservation Commission regional spokesperson, told the newspaper. Alachua County Fire Rescue Deputy Chief Jeff Taylor told The Gainesville Sun: "It looks like it was accidental. My understanding is that the gentleman was in the vicinity of the bird and at some point fell. When he fell, he was attacked." The newspaper reported that a cassowary could be seen on the property on Saturday, along with a smaller exotic bird. Cassowary are characterized by their black, two-quilled feathers that resemble hair and keep the animals dry in the rain forests of New Guinea and Queensland, Australia. The birds are closely related to the emu, and are "rightfully considered the most dangerous bird in the world," according to the San Diego Zoo website. The largest of these flightless birds, the southern cassowary, can measure between 4-5.6 feet in height. Females can weigh up to 167 pounds, and males 121 pounds, making it the heaviest bird in the world after the ostrich, to which it is related. "Each 3-toed foot has a dagger-like claw on the inner toe that is up to 4 inches (10 centimeters) long,” San Diego Zoo states. The creatures can jump almost 7 feet into the air, “so the bird is quite good at fending off threats or escaping danger,” the zoo states. The Florida Fish and Wildlife Conservation Commission categorises the cassowary as a Class II species which can “pose a danger to people.” Keepers must have “substantial experience,” special cages and permits for the sale, possession, or public exhibition of cassowaries and other Class II species. Eric Slovak, assistant curator of birds at the National Zoo in Washington told The Washington Post: “If you were kicked by a cassowary with that nail, it would do a lot of damage to you. You would wind up in the hospital for sure. "It’s just kind of a big, 200-pound, six-foot bird roaming around eating fruit all day," Slovak explained, adding: “I would not understand why anyone would want to keep a cassowary as a pet."